I'm trying very hard to not get frustrated, but waking up this morning I was a little disappointed. Still nothing has happened, and I feel like I'm going to be the exception to the rule and I actually will be pregnant forever. I'm still having contractions, they range from 10 minutes to 20 minutes apart, and they are in my lower back. But nothing else is happening. 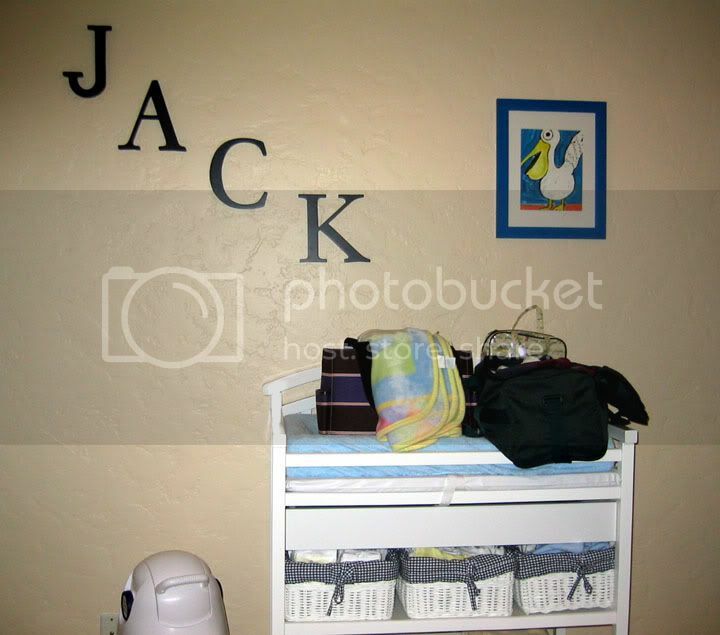 Joe hung the letters in Jack's room. I guess he's finally agreed on a baby name. 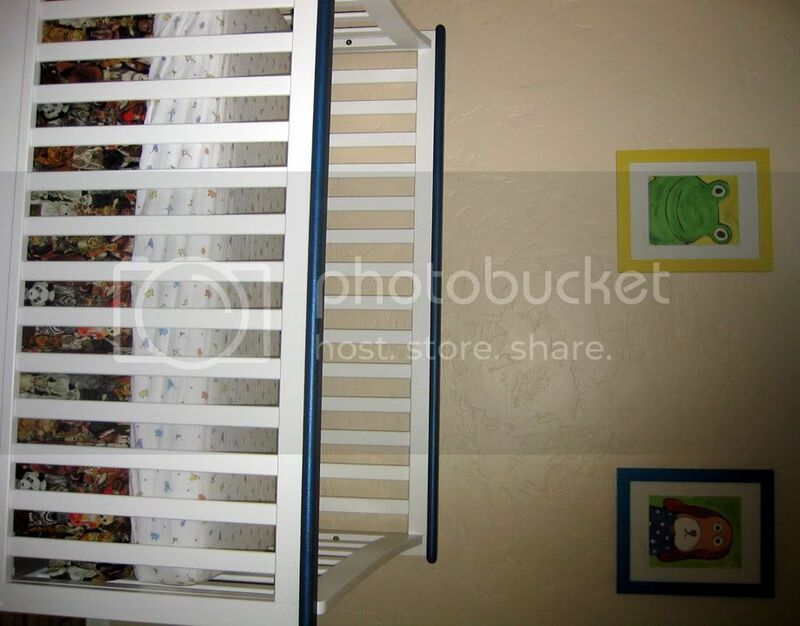 The bags on top of the changing table are our bags for the hospital. I had them all ready to go on Friday when I was so positive we would be heading over, and then I had to get in them to take stuff out. I know I'm not due for another four days, but after everything that happened I really thought he would be here this weekend! Thanks for the update Brooke. Hang in there...this too shall pass.